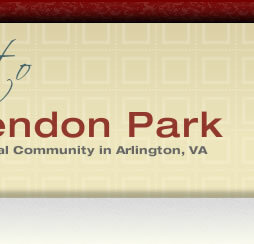 Clarendon Park townhomes are individually owned, and the homeowner is responsible for making sure all tenants are aware of the conditions, restrictions, and requirements of the Clarendon Park community. Tenants are required to keep up the property in accordance with these conditions, restrictions, and requirements. The unit owner can be held responsible for any misconduct of their tenants and in return can hold the tenant responsible. Arlington County laws also must be adhered to by the homeowner and tenant. 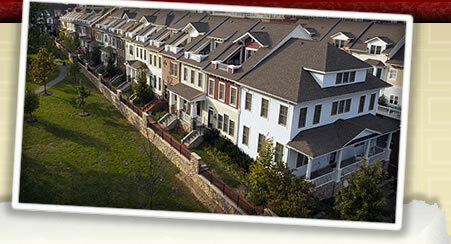 The townhomes cannot be used as a rooming or boarding house nor as a child development center. No subletting by a tenant is allowed. Individual owners may determine the pet policy for their unit. All leased units must have a written lease agreement between the homeowner and tenant. Trash pickup is Tuesday and Friday. Recyclables are picked up on Wednesday. All trash and recyclables must be in approved containers and kept inside your garage until 7:00 pm the night before pick-up and returned to your garage as soon as possible after pick-up. Containers must be stored in your garage and not left outside. Tenants are responsible for regularly watering the landscaping that surrounds their individual units. Tenants should not replace landscaping around their property. Do not store or place anything on the landscaping that may harm the plantings. Flower pots are allowed with live plants and flowers. Dead plants should be disposed of and empty pots should be put in storage. No decorative flags are allowed. The American Flag is the only flag allowed on units. The decks and front porches are not to be used for storage; this policy includes coolers and bicycles. Pet waste is to be disposed of in trash receptacles and not kept on front porches or decks. Thank you for your help in the maintenance and upkeep of our beautiful property. 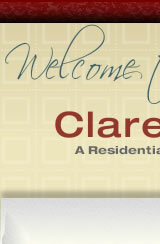 We hope you enjoy the Clarendon Park community.